WAYNE, NJ, 2017-Nov-17 — /EPR Retail News/ — Deal seekers get ready: This Sunday, Toys“R”Us® will once again kick-off the holiday shopping season with discounts on hundreds of toy and baby products. Even better? There’s no membership or loyalty status required – ensuring parents, gift givers and Santa’s helpers only have to make one stop to buy the items on their kids’ (naughty or nice) wish lists. With more than 154 million people planning to shop in-store or online Thanksgiving weekend*, Toys“R”Us customers will have early access to hundreds of mark downs, including 65% off Playskool Friends™ Sesame Street™ Love2Learn Elmo (Was $69.99, Now $19.99) and $100 off NERF N-Strike Elite Terrascout Remote Control Drone Blaster (Was $199.99, Now $99.99), starting Sunday, November 19 to Wednesday, November 22. Don’t worry, the savings continue: Toys“R”Us stores nationwide will open their doors on Thursday, November 23** at 5 pm (local time), and remain open for 30 hours of continuous shopping and deep discounts, including doorbusters like 50% off Barbie® Pink Passport 3-Story Townhouse (Was $119.99, Now $59.99) and $150 on Power Wheels® Boomerang™ 12 Volt Ride-On (Was $399.99, Now $249.99). Toys“R”Us customers who prefer to sit back and relax the day before Thanksgiving can shop some of the biggest deals of the weekend as early as Wednesday, November 22 at 9pm EST on Toysrus.com, where they can also take advantage of the company’s Buy Online, Pick Up In-Store service. Below are highlights of “Pre-Black Friday” deals, available at Toys“R”Us stores and online at Toysrus.com beginning SUNDAY, November 19 through WEDNESDAY, November 22 at 9 pm, while supplies last (no rain checks). Below are highlights of doorbusters deals available at Toys“R”Us stores only on THURSDAY, November 23 from 5pm to midnight, while supplies last (no rain checks). Below is a selection of additional online and in-store savings that will be available at Toys“R”Us beginning THURSDAY, November 23 at 5pm, and Babies“R”Us® beginning FRIDAY, November 24 at 8am through SATURDAY, November 25 at 12pm, while supplies last (no rain checks). 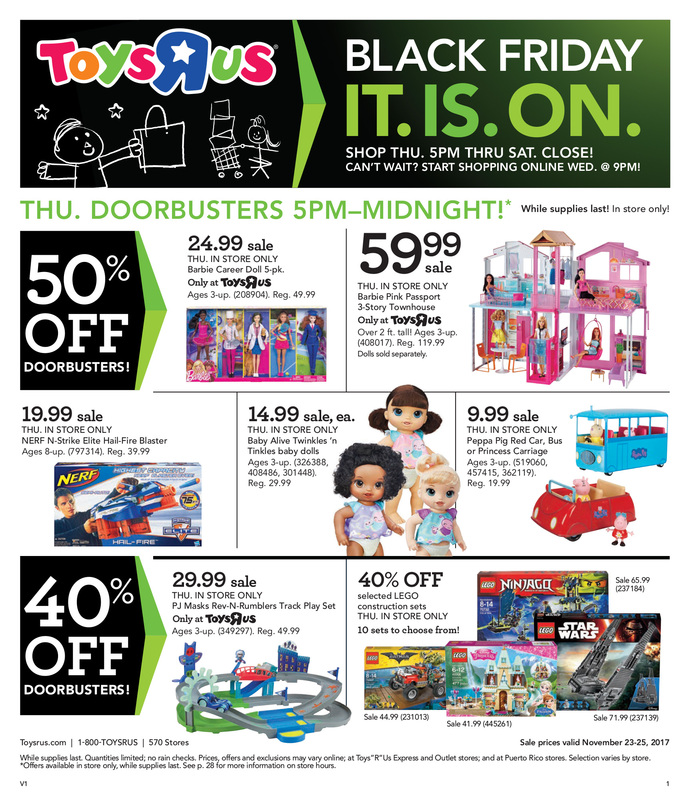 NOTE: All Thursday through Saturday deals (exclusive of doorbusters) will also be accessible on Toysrus.com/BlackFriday beginning WEDNESDAY, NOVEMBER 22 at 9pm EST online at Toysrus.com. Buy Online, Pick Up In-Store: In 2016, 44% of consumers shopped online, and 40% in-store*. That’s why Toys“R”Us is giving customers the best of both options during the busiest time of year. Place an order online, pick it up at your local store. In-Store G.P.S. Navigator: Not sure where to start? Customers will find dedicated G.P.S. (Guru of Play Stuff) Navigators at the front of stores who can help point out the best gift ideas based on a child’s age and interest. Layaway: Toys“R”Us is bringing back its free layaway service, plus, now through Saturday, December 9, Toys“R”Us will pay-off one individual’s layaway order per day (up to $200)***. For more information about Layaway, visit https://www.toysrus.com/layaway. The deals don’t stop after the leftovers are finished – Toys“R”Us customers can expect huge discounts on thousands of the hottest items online during Cyber Week, which begins Saturday, November 25 at 7am EST. While Price Match will not be available from Sunday, November 19, through Friday, December 1 at 6am local time, customers can take advantage of Price Match throughout the holiday season. The company’s new and improved policy guarantees that if a customer finds a toy or baby item advertised at a lower price at another store, Toys“R”Us will honor its Price Match Guarantee. Plus, Toys“R”Us will donate $1 to the Marine Toys for Tots Foundation for each time a customer uses the company’s Price Match services now through Sunday, December 24***. For more information, visit Toysrus.com/PriceMatch. To learn more about the holiday deals offered throughout the Thanksgiving week, visit the company’s official blog, No Assembly Required and follow @ToysrusNews. ** Toys“R”Us stores nationwide will open at 5pm on Thursday, November 23 and remain open until 11 pm on Friday, November 24, except for stores in Paramus, NJ, which will open on Thanksgiving from 5 – 11 pm and will reopen on Friday, November 24 at 7 am – 11 pm; stores in Watchung, NJ, which will open on Thanksgiving from 5 – 9pm and will reopen Friday, November 24 from 6 am – 11 pm; and the store in New York City (Times Square) which will open at 8am on Thursday, November 23 and remain open until 12 am Saturday, November 25 (this location will reopen on Saturday, November 25 at 9am for regular business hours). Select stores in Maine, Massachusetts, and Rhode Island will also have varying store open times. *** Winners will be chosen at the end of every week and will be given a $200 gift card to Toys“R”Us stores. *** Up to 1 Million Dollars. Toys“R”Us, Inc. is the world’s leading dedicated toy and baby products retailer, offering a differentiated shopping experience through its family of brands. Merchandise is sold in 885 Toys“R”Us and Babies“R”Us stores in the United States, Puerto Rico and Guam, and in more than 810 international stores and over 255 licensed stores in 38 countries and jurisdictions. With its strong portfolio of e-commerce sites including Toysrus.com and Babiesrus.com, the company provides shoppers with a broad online selection of distinctive toy and baby products. Toys“R”Us, Inc. is headquartered in Wayne, NJ, and has nearly 65,000 employees worldwide. The company is committed to serving its communities as a caring and reputable neighbor through programs dedicated to keeping kids safe and helping them in times of need. Over the past three decades, the Company has given more than $100 million in product donations to children’s charities. Since 1992, the Toys“R”Us Children’s Fund, a public charity affiliated with Toys“R”Us, Inc., has also donated more than $130 million in grants. For more information, visit Toysrusinc.com or follow @ToysRUsNews on Twitter.  This entry was posted in Baby Products, Business, Children, Discounts, Management, Retail, Retailer, Shopping, Toys and tagged Baby Products, Discounts, holiday shopping season, toy, Toys“R”Us. Bookmark the permalink.